What Credentials Should You Look For in a DUI Attorney? 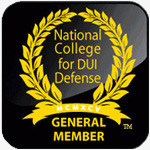 Make sure that the attorney you are speaking with is a member of the National College for DUI Defense - NCDD and specializes in DUI Defense. 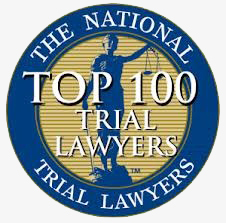 Be sure that the attorney knows knows this organization and is a member in good standing. 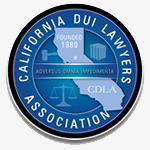 This organization provides continuing legal education in the area of DUI defense to attorneys. Amy Morell specializes in DUI Defense. This means she ONLY handles DUI cases. Amy Morell regularly attends at least 50 hours per year (usually more) in DUI education. This is because DUI laws change yearly. So it's very important that the attorney that you are speaking with is knowledgeable and up-to-date in DUI defense. What percentage of your cases are DUI? Amy Morell only handles DUI cases. That's 100% DUI. She does not do any other types of cases. When the Morell Law Office gets calls for other types of cases, they are referred out to other attorneys. 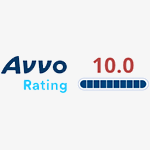 Being 100% committed to handling only DUI cases allows Amy Morell to focus solely on DUI defense. How important is regular DUI training and education in the field? Training and education are very important. DUI laws change yearly, statutory laws change, times of suspensions or restrictions and the possible penalties for DUIs change all the time. Recently, in the state of California, the laws changed for the requirement that breathing devices be placed on vehicles. There are four counties in California where breath devices are required on a conviction of a DUI. Those counties are Alameda, Sacramento, Los Angeles and Tulare. Without getting the proper training and attending Mandatory Continuing Legal Education (MCLE) courses in DUI, an attorney may only know just very basic information. Training and education is necessary to properly guide the client through the confusing process of DUI cases. That stands for Standardized Field Sobriety Testing. SFST is the physical testing that an officer requests a person suspected of DUI to conduct. Those tests, in order to be used against you, need to be properly conducted. So it's important that the officer who is giving the instructions on these types of tests, give the instructions properly and thoroughly. If the officer fails to do so, that can be used as a potential defense to show that a subject didn't understand what the officer was trying to show them and tell them what to do. Amy Morell is certified in Standard Field Sobriety Testing. She took the same course that police officers take, and understands the proper instructions that need to be given. Call to arrange your free DUI/DWI consultation with the Morell Law Office.